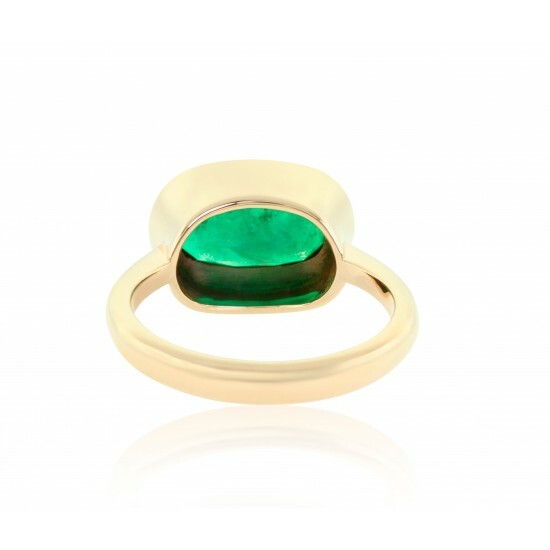 Brilliant minimalism is at its finest in this 18K pink gold ring featuring a 2.19 carat oval cut Colombian emerald. 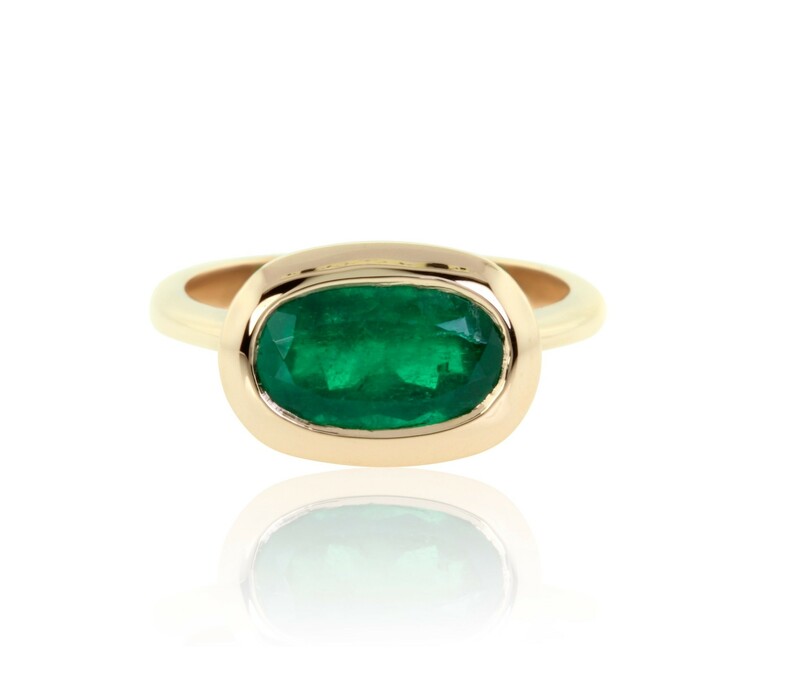 The natural emerald is secured in a bezel setting to ensure that your precious gem will not be easily scratched, damaged or prone to fall out. 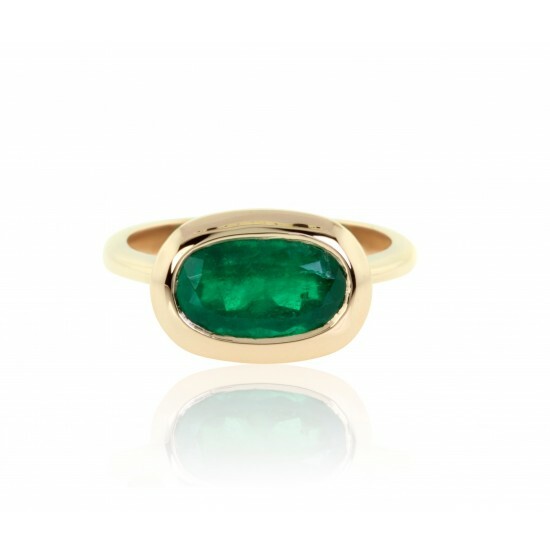 The elongated oval emerald is set east-west for an added modern touch. Gold weight: 6.06 grams.